Screen Print in High Definition. It’s all about the details, the smallest details. 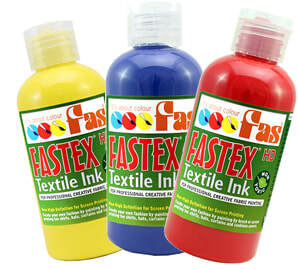 FAS® Fastex Fabric Screen Printing Ink offers artists' more vibrant colours, greater coverage, smoother workability, creates multiple layers without adding to the thickness, a softer hand and easier clean-up than any other screen printing ink on the market. All colours carry the CE Seal and are permanent on fabric once properly heat set. Layers muliple colours with adding to the thickness. Totally washable and dry cleanable when heat set. 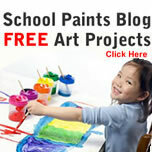 ​For best results use white or light coloured fabric. Ready-to-use and highly concentrated, FAS Fastex textile fabric inks create beautiful effects on natural and selected synthetic fibres. 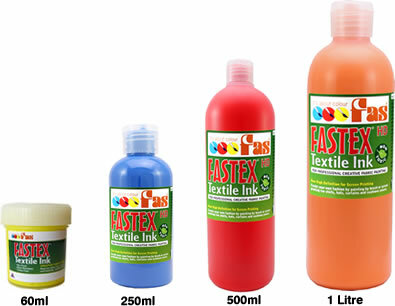 Fastex has fresh and intense colours that are truly versatile. Ideal for painting and screen printing, the colours become completely resistant to washing and drycleaning. The colours mix easily and deliver excellent non-fading light fastness. 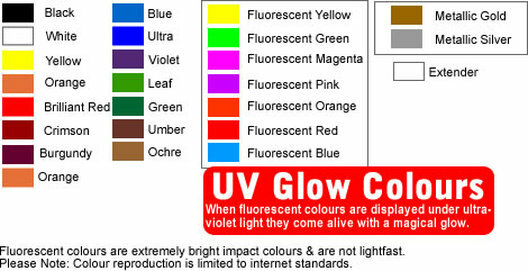 The fluorescent colours are less resistant to fading. 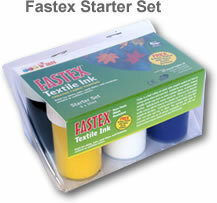 Use the Fastex Extender Medium to reduce the depth of colour without losing any non-fading or lasting properties. Painted fabrics are difficult to remove when dry. Clean up brushes, hands and palette with soap and water. Protective clothing and a work area cover sheet is recommended. ​Fastex is not suitable for airbrush. Adding water to thin Fastex ink will also water down the formulations lasting properties and the ability to heat-set and seal the ink into the fabric. SINGLE COLOURS: 60ml jar, 250ml, 500ml and 1 Litre bottles. Black, Ultra, Brilliant Red, White, Yellow and Green.